Shanghai Money / COW EP | Vinyl 41 - Platten uvm. Shanghai Money EP / COW EP ist, so glaube ich zumindest, mein erstes Vinyl vom Münchner Label Compost Records. Nach der ersten Anhörung bin ich mir sicher, dass es nicht das letzte gewesen sein muss. Die Platte ist mit zwei EPs (erneut ein Doppel-Front-Cover) des Electronic Act & Digital Art Project C.O.W. 牛 bestückt. Die Vierer-Kombo um Produzenten und Musiker aus München, Berlin and Beijing (aka Peking) besteht seit Dezember 2015. Viel mehr weiss man/ich nicht über die Truppe. Die Platte kann für schmale €14.90 (+ Versand!) direkt bei Bandcamp vorbestellt werden. With $hanghai Mone¥ the collective delivers the long awaited sequel of their first C.O.W. 牛 EP. Remaining true to their distinct style, the new EP shows a funkier however darker face of the collective. Holy cow, C.O.W. 牛, who? Exactly: C.O.W. 牛 is surprising. C.O.W. 牛 are a German electronic act & digital art project. 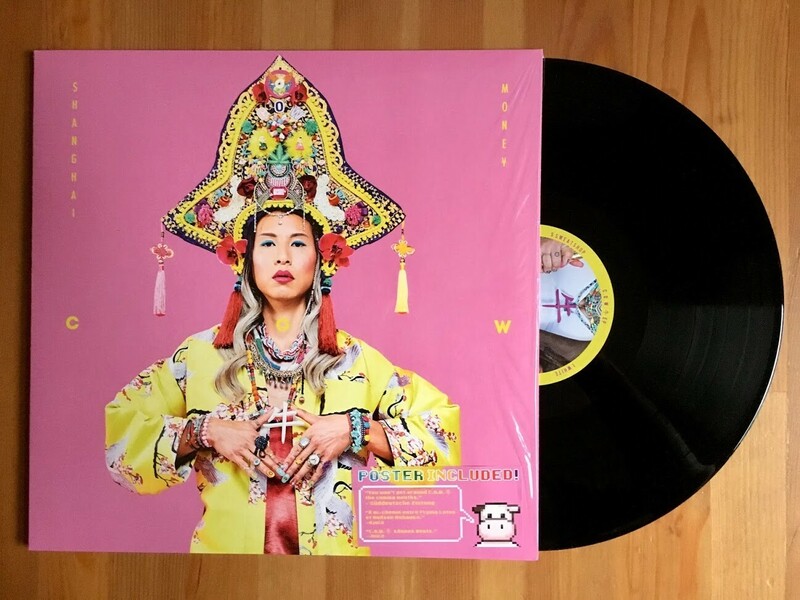 Originally a German-Chinese musical project, the quartet developed to a holistic artistic persona looking for company in local the Asian grocery store wearing nothing less than a drag-cow-costume. Jazzy intros are followed by glorious, unheard-of beats. Torn between deep, sig- nificant nodding to the beat and the impulse to dance ecstatically, C.O.W. 牛 releases their first EP that emphasizes each of the five tracks in a distinct way. Bold, cheeky and extravagant, these artists created their own genre. 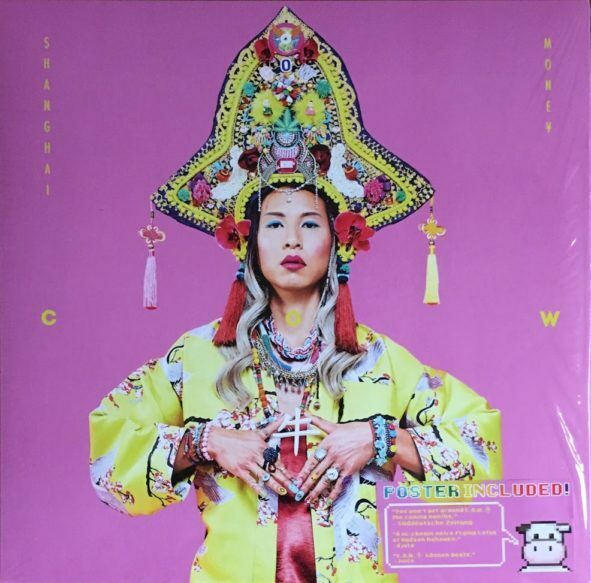 Meine Wertung: 8/10 für „Shanghai Money EP / COW EP“. Wie sagt man so schön, mal ganz was anderes. Hip Hop meets Electronic. Obendrauf noch ein paar Samples aus Jazz, Trip Hop und von orientalischen Melodien und fertig ist die K.U.H. inklusive bombastischem Soundteppich. Gefällt mir richtig gut die Platte. Vielleicht sollte man sich das auch mal live geben. Die 8bit-Pixel-Maskierung und die dazu passenden C.O.W.-Sounds sind bestimmt eine interessante Mischung. Favoriten: Waves, Level Up, White und Sweatshop.